George is a senior executive with over 30 years of industry and consulting experience, performing financial and operational management for both financially distressed and high growth companies. He has been involved in a number of interim C-level roles to stabilize business operations, rebuild management teams, and prepare businesses for refinancing or sale. Previously, George worked in the Big 4 accounting firm environment for more than 14 years, which included serving as a partner and managing director in PricewaterhouseCoopers’ consulting and financial advisory services practices. George has a demonstrated background in working with management teams to help companies through difficult transition periods. He has successfully restructured and refinanced dozens of companies when the worst outcomes were expected by lenders, creditors and investors. Early in his career, he focused on business process re-engineering, post-acquisition integration and supply chain management for clients including “Fortune 500” companies. Brand name clients have included Giorgio of Beverly Hills, Haagen Dazs, Allergan International, Arco AM/PM Stores, Baskin Robbins, Gateway Computers, Herbalife International, International House of Pancakes (“IHOP”), Mars Candy Pet Food Division, Smitty’s Super Valu, Nissan Motor Corp., Read-Rite Corporation, Technicolor, Warner Home Video, Tosco Corp / ConocoPhillips, and Unocal 76 Products, among others. George received the 2015 Humanitarian Award from the National Jewish Health Foundation for community service. 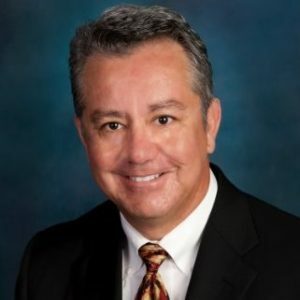 He serves on the board of Methodist Hospital of Southern California, and served as President for the Turnaround Management Association (TMA) – Southern California Chapter (2013-14). He is a Certified Turnaround Professional (“CTP”) and a Certified Insolvency and Restructuring Advisor (“CIRA”). He earned his MBA in finance from the UCLA Anderson Graduate School of Management and his BA in economics and accounting from Claremont McKenna College. Financial / Restructuring Advisor – Mi Pueblo Foods; $400 million family owned Hispanic grocery chain. Restructured and stabilized operations through Chapter 11 proceeding after losing 85% of employees from an I-9 audit. Worked with existing lender to support short-term operational stabilization, and sourced $50 million refinancing to protect founder equity. Chief Restructuring Officer -- No Fear Retail; involving a $75 million national retail chain with a highly recognized brand name. He was involved in stabilizing operations and coordinating the sale of the brand and retail operations for a premium value. Chief Restructuring Officer – National Nursery Operator; family owned nursery grower with $200 million historical gross revenues. Restructured business operations and renegotiated $100 million line of credit with their bank group. We have now served in a five year advisory relationship. Chief Restructuring Advisor -- Read-Rite Corporation; historical sales of $850 million, activities included the preparation of the business for sale which was acquired by Western Digital Corporation, including manufacturing facilities in Thailand and the Philippines. Chief Restructuring Officer -- $300 million revenue, multi-national network marketing company. Helped to stabilize the business operations, manage cash under difficult circumstances, and successfully prepared and completed the sale of the business to a strategic buyer. Chief Restructuring Officer -- Dillingham Construction Company; which included $1.5 billion of annual sales among 5 divisions and operated in Hawaii, San Francisco, San Diego, Alaska, Florida, and internationally. Chief Restructuring Officer – Rural Telecommunication Provider; restructuring $300 million in governmental loans and bond debt. 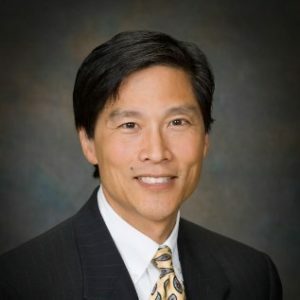 Michael M. Ozawa, CPA/CFF, CIRA, CGMA, CFE -- Michael is a Managing Principal of Enterprise Management Advisors. He has more than 30 years of experience triaging businesses with financial and/or operating problems. Michael is often retained to manage crisis liquidity situations where he determines options for preserving cash and setting priorities with lenders and trade creditors. His initial assessments frequently include determining key drivers for positive cash generation and profitability, preparing an EBITDA bridge from current to restructured operating results, preparing a Quality-Of-Earnings report for financing sources, and assisting with the review and implementation of business plans. Michael typically works side-by-side with management to define, plan and help implement agreed upon objectives. However, he is equally comfortable as an interim officer should the circumstances require that structure. Michael has assisted in the disposition of businesses at the request of management, private equity investors or lenders. These dispositions include evaluating and executing the sale, orderly winddown or liquidation (or some combination thereof) of the business either in an out-of-court or court-supervised process. Michael has a demonstrated record of leadership in numerousdebt and business restructurings, recapitalizations, bankruptcy/”363” proceedings, transaction / M&A advisory assignments, and forensic accounting matters. HIs clients include company boards, management, private equity investors, secured lenders, unsecured creditors’ committees, unsecured debt holders, trustees and receivers. Related client business revenues have ranged from private enterprises with annual revenues of $50 million to public entities with revenues in excess of $2 billion. Michael’s experience spans a diverse range of industries, including retail, consumer products and services; food; restaurants; software; manufacturing; distribution; healthcare; business services; real estate and financial services industries. In addition to business and operational turnarounds, Michael has managed many forensic accounting investigations, including matters involving cash transaction analysis, asset acquisition and disposition, asset tracing and compliance issues. Clients include secured and unsecured lenders, private equity sponsors, unsecured creditors’ committees, trustees, receivers and “governmental” agencies. Prior to EMA Group, Michael was a partner in Business Recovery Services practice at PricewaterhouseCoopers and also a senior managing director at FTI. He is a Certified Insolvency & Restructuring Advisor (CIRA), a licensed Certified Public Accountant with a financial forensics specialization credential (CPA/CFF), a Certified Global Management Accountant (CGMA) and a Certified Fraud Examiner (CFE). He earned his Bachelor of Arts in economics-business from the University of California at Los Angeles. Appointed Liquidating Trustee of the State Fish Company, Inc. and Calpack Foods, LLC post-confirmation liquidating trust. For the owner of a high-capacity, digital fiber-optic cable network, participated in the restructuring of over $200m of syndicated debt. Led the restructuring for a publicly-traded retailer, which included designing a store performance analysis and 4-wall cash analysis; designed an integrated cash forecast; assisted in designing a store closer program, planned for possible bankruptcy and negotiated a new credit facility. Independent board member for Suzuki USA Chapter 11 proceeding and subsequent post-confirmation trust. Led the business regeneration engagement for The Musicland, which included negotiation of revolving credit facility, designed and implemented a store-closure program, and planned for possible bankruptcy. Assisted in leading the restructuring of Mi Pueblo in its bankruptcy proceeding, which included evaluating store-by store performance; overlaying the operational improvements at the store, district and headquarters level on the financial model; identified and contacted prospective capital partners to sponsor the restructuring; and led the transition of the business with the new equity sponsor / inventors. Led the debtor administrative work in the Station Casino, et al, bankruptcy matter, which included preparing the requisite financial reporting information for the court, the US Trustee and other parties-in-interest. Led engagements related to Factory 2-U and House2Home reorganizations. Led the negotiations of the amendments for the bank group to their $150 million debt facility with a troubled disk drive manufacturer. Appointed Liquidation Trustee of the Pacific Monarch Resorts post-confirmation liquidation trust, including liquidating remaining assets of certain substantively consolidated debtors.